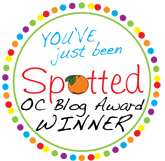 "One will be opening in Mission Viejo across from the Gateway Plaza Shopping Plaza in April and the other will be located at Downtown Disney this summer." I reported on the opening of a cupcake kiosk in Downtown Disney in December. Before I had a chance to visit, I heard that the kiosk closed. The kiosk was owned by a company called The Cupcake Store. 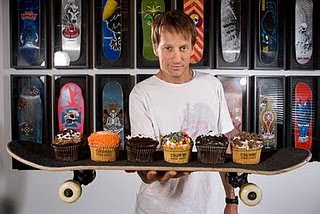 Upon further research, found out that The Cupcake Store has just opened a new cupcake shop in Mission Viejo in March. Their website is also reporting that they will be opening a location in Disneytown Disney soon. Sounds like the mystery is solved: the two new stores are actually one company. And hopefully their cupcakes have improved because I talked to several people who tried their cupcakes at Downtown Disney and they said the cupcakes were no good. Although I have a race on Saturday, I secretly wish I was going to be in Utah for the grand opening celebration of the Sweet Tooth Fairy's second store. I reviewed the Sweet Tooth Fairy almost three months ago and have been in love with them ever since. Their success has led to the expansion of their second store in Draper, Utah. Their grand opening celebration takes place on Saturday, March 27 at 10:00am. They will be giving away 100 mini cupcakes on a first come first serve basis. They will also be holding a giveaway for a year's supply of cupcakes (one dozen a month for a year). Oh how I would love that! First day of spring! The first 25 people to whisper “flowers” at each Sprinkles receive a free daisy dark chocolate! I couldn't believe it! 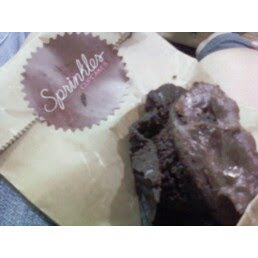 I was just blocks from Sprinkles! We rushed over to Sprinkles and I was happy to see there wasn't a line. Ever since Sprinkles started tweeting about passwords to get free cupcakes, I've been curious how fast the free cupcakes go. Until Saturday, I had never been in the area to find out. I went inside and said, "flowers." She smiled at me and said, "Is that all?" I was thrilled! 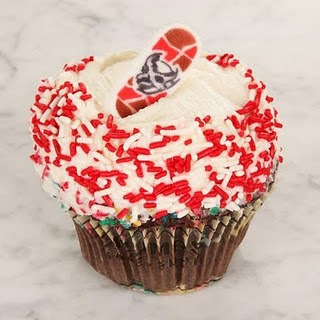 The only thing that tastes better than a cupcake is a free cupcake! This was my first time trying their dark chocolate cupcake (belgium dark chocolate cake with bittersweet chocolate frosting). It was better than I expected, which made it hard to split between two other people. P.S. Again, I couldn't wait to take a picture before I had a bite. Can you blame me? Best Cupcakes at the Hospital?!? Last week I became an aunt again! My sister delivered Rose Kate, my first niece on my side of the family. I could barely wait to see her at the hospital! While I was visiting, my sister and her husband received their celebratory dinner from the hospital. Never having stayed overnight in a hospital myself, I haven't tried hospital food before. I would assume it's pretty similar to airplane food -- yucky. So when I noticed that two cupcakes were included in their "dinners," I was suspicious of their tastiness. Imagine my surprise when I received a text from my brother-in-law that night that said, "We were skeptical about those cupcakes, but they were seriously two of the best that I ever tasted. 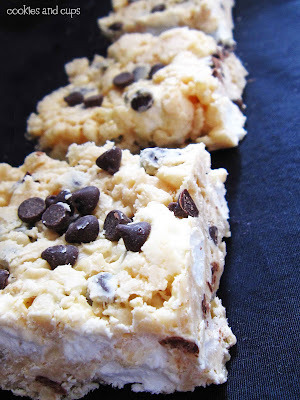 I am seriously impressed because I was neither hungry (I ate two dinners) or hankering for a treat." The flavors were Red Velvet with a dab of chocolate in the center and Peanut Butter Chocolate. Who knew that Kaiser Permanente Hospital would have some of the best cupcakes around? I wonder who makes them. Last year I competed in my first Ironman 70.3. It was a long, exhausting day that ended with a trip to my favorite bakery, Elizabethan Desserts in Encinitas. Well worth swimming 1.2 miles, biking 56 miles, and running 13.1 miles. In five days I will be doing it all over again! Swimming, biking, running, and eating cupcakes from Elizabethan Desserts. 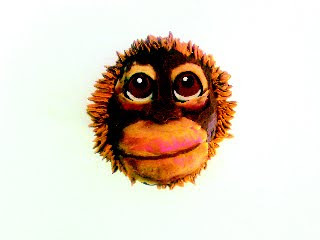 Fingers crossed that I will be lucky enough to score a Monkey Business cupcake! The new Alice in Wonderland movie debuted in movie theaters two weeks ago. I can't wait to go see it, especially since my husband never saw the original cartoon. 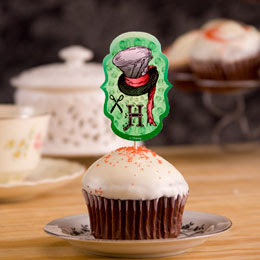 Found these Alice in Wonderland cupcake toppers on DisneyFamily.com. 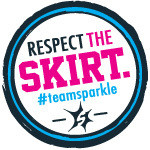 You can download the template and print out the designs to decorate your cupcakes. Either everyone is getting their taxes done earlier this year or it's going to be a hectic tax season! In case I haven't mentioned it before, I am a tax accountant. So the months of February-April are crazy busy for me. I barely have time to squeeze in a workout before I'm fast asleep. Yesterday was St. Patrick's Day and I didn't even get the chance to post pictures of my favorite green cupcakes. Kelly, from Just Spotted, picked up some St. Patty's Day cupcakes from The Perfect Circle, tweeted about them, and I salivated for one all day long. Unfortunately, I didn't get off work in time to try one. They sure looked good though. 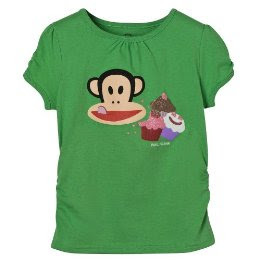 Yesterday I saw this adorable Paul Frank t-shirt featured on All Things Cupcake. This Julius cupcake shirt is available at Target for $8.99. Target started selling Paul Frank brand clothing about a year or two ago. I'm happy that Paul Frank clothing is available for cheaper prices, but being sold at Target takes away some of it's value. I was curious if Paul Frank had any other cupcake-inspired clothing. My google research found the Cupcake Vic Tee from the Paul Frank website. Unfortunately it is sold out. I bet there will be more cupcake clothing from Paul Frank in the future. 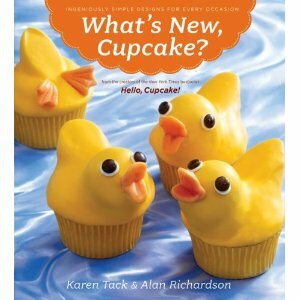 I would guess that Red Velvet is the most popular flavor of cupcake, but let's try something different. 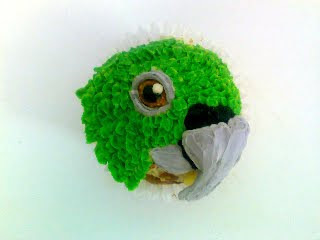 With St. Patrick's Day just around the corner, Cupcake Project had the great idea of making Green Velvet Cupcakes. You can find the recipe on Cupcake Project's website, or use your favorite red velvet one...but don't forget to add green food coloring! Top with your favorite cream cheese frosting (along with more green food coloring) and you've created Green Velvet Cupcakes. Save a little room after your corned beef and cabbage dinner and wow your friends with these fun cupcakes. P.S. 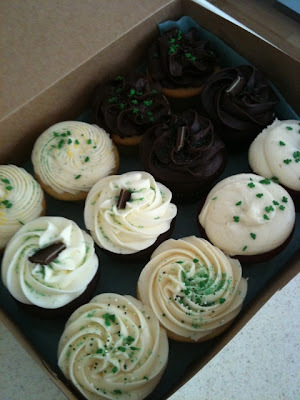 Check our last year's featured St. Patrick's Day cupcakes. A few months ago I featured Dots Cupcakes as a cupcakery I haven't been to, but really want to try. Yesterday a friend called to tell me that he had some cupcakes for me. Of course I was excited, but especially excited after finding out the cupcakes were from Dots Cupcakes. 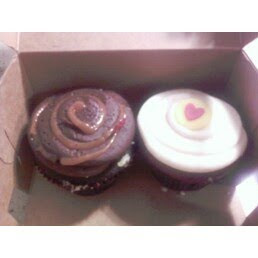 I was lucky enough to try two cupcakes from Dots: Chocolate and Red Velvet. Both were delicious! 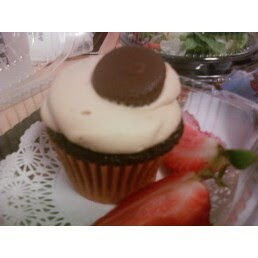 The chocolate had a swirl of caramel on top which gave a normal chocolate cupcake a little something extra. 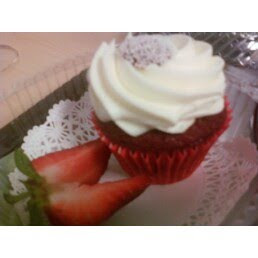 The frosting on the red velvet was just how I like it...great! My only suggestion would be more frosting, but that's just a personal preference. 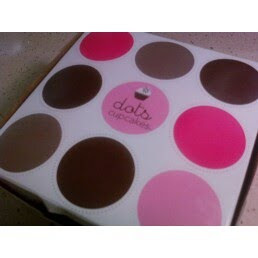 Although I technically tasted Dots Cupcakes, I still plan on visiting one of their Pasadena's store this year. So many flavors that I want/need to try! P.S. Awesome packaging! 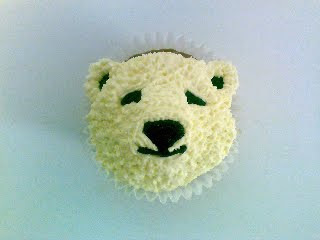 Although sometimes overlooked, packaging is a huge part of cupcake buying, which some cupcakeries skimp on. Dots is smart. Free Cupcake at Claim Jumper -- Today Only! The picture says it all. 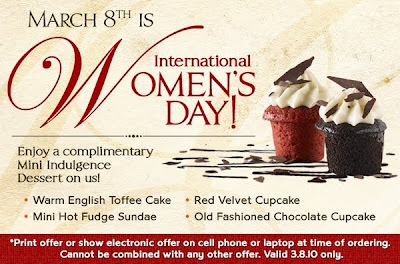 Claim Jumper is giving a free "mini indulgence dessert" in honor of International Women's Day. 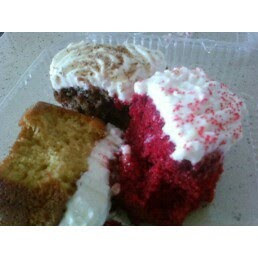 You can choose between a Warm English Toffee Cake, Mini Hot Fudge Sundae, Red Velvet Cupcake, or Old Fashioned Chocolate Cupcake. Offer is valid for today (3/8/10) only. About a month ago I received an email from Katja. She sent me a few photos of her cupcakes along with a short bio. 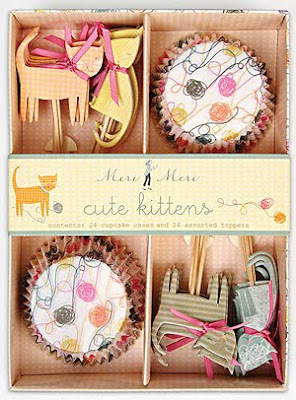 Katja owns a cupcake business based in England called Katjas Kupcakes. The thing I like most about Katja's cupcakes is how beautiful her cupcakes look. Look at all of that detail! 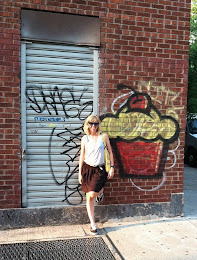 Katja's experience comes from training for three years at Cupcake Cafe in Manhattan. Katjas Kupcakes use "American Butter Cream instead of the more commonly used sugar craft" of other British cake-confectioners. I love seeing cupcakes around the world. Maybe one day my travels will take me to England and I can try Katja's Kupcakes. 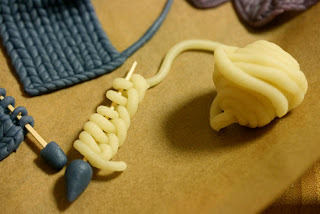 I have recently taken up knitting, thanks to being inspired by Carrie from This Mama Makes Stuff. She introduced me to the Love Scarf Project and I began knitting until my fingers hurt. 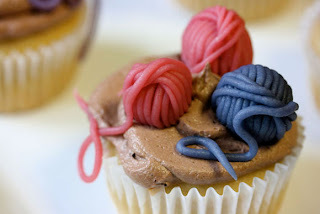 I came across these cute knitting cupcakes. 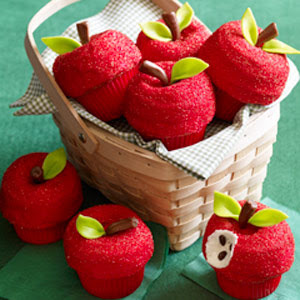 These cupcakes definitely take decorating to the next level. 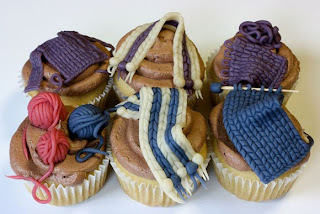 I wonder if you need to know how to knit to decorate these cupcakes. I wasn't the only one who attended the LA Cupcake Challenge two weekends ago. 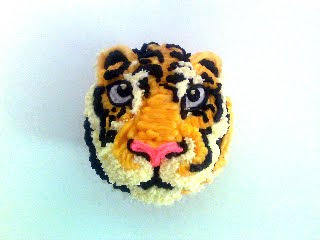 Check out the reviews from some fellow cupcake lovers.